In a bowl, mix the oat flakes with all the other ingredients up to and including the salt, spread on a baking tray lined with baking paper. 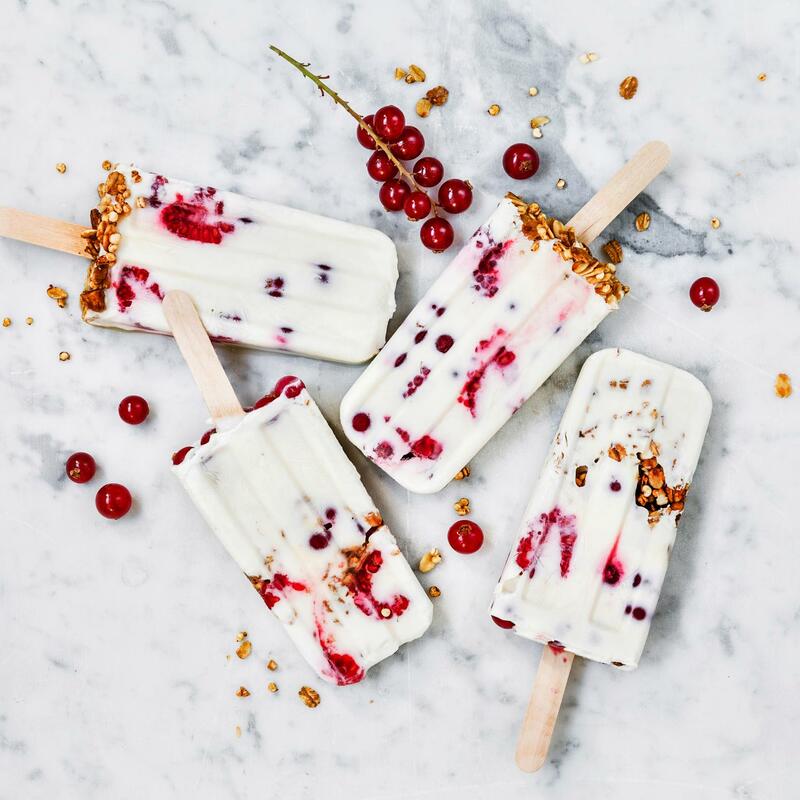 Mix together the yoghurt and elderflower syrup, pour into the ice lolly moulds along with 1 tbsp of granola and the berries. Insert the ice lolly sticks and freeze for approx. 7 hrs. Store the remainder of the granola in an air-tight container.